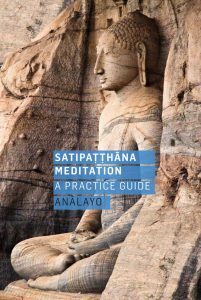 We are thrilled to announce Satipatthana Meditation: A Practice Guide by Buddhist meditator, scholar, and award-winning author, Bhikkhu Anālayo, is now released. Find Satipatthana Meditation: A Practice Guide as a paperback or eBook from our website. Did you know? If you login to our website with a free registration you get 10% off books and CDs every time you login. A big thank you to our sponsors. We met our target for sponsoring this book, and really appreciate the support for this book. Thanks, as ever, for your help and readership. We’ve moved! As always, please drop us a line at info@windhorsepublications.com or ring us at the (new) office if you’d like to get in touch +44 (0)1223 778 920. If you’d like to visit our new office we’re at 17e Sturton Street, Cambridge CB1 2SN, UK. Drop by!